The term processing and recovery plant is broad to say the least so we are going to give some basic examples of the types of ore processing plants. It is important to understand that each full scale ore processing plant, backfill plant, placer mining plant, or even a small scale test plant is specifically engineered for the material it will be processing. 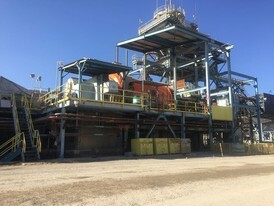 The type of plant at any given mine or recovery operation also depends on permits, available road access, amount of precious materials to be mined, and of course cost. In this article we will be focusing on ore processing plants. What kind of material are you processing? Technically all ore processing falls under the field of extractive metallurgy, mineral engineering, and mineral processing also known as mineral dressing or ore dresing. It is the process of separating commercially valuable minerals from their ores. Commonly, haul trucks transport the ore from open pits or underground operations to processing operations. Ore may be stockpiled for later processing. The grade and type of ore determines the mineral processing method used. Additionally, the geochemical makeup of the ore, including its hardness, sulfur content, carbon content, and other minerals found within, impact the cost and methods used to extract gold, silver, and other precious metals and minerals. Ore processing recovery systems are used for everything from recovering precious metals, industrial minerals, and rare earth minerals. Plants for recovering precious metals often recover multiple metals or minerals in the same operation. This is because often where there is gold the ore will contain copper and silver. When talking about the recovery of precious metals we are identifying the noble metals like gold, silver, platinum, and palladium. Other primary metals that ore processing plants are used to recover includes copper and iron ore. There are rare metallic minerals such as nickel, cobalt, and scandium which are mined using similar processes. There is also the processing of rare earth minerals. How much material will an ore processing plant process per day? 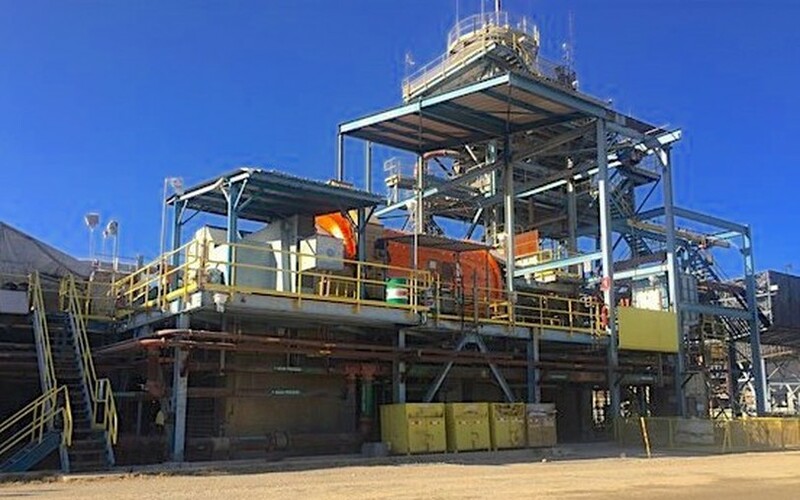 Ore & Mineral Processing Plants are designed for various purposes and capacity, for large primary ore processing, secondary, and tertiary fine material concentrating as well as complete aggregate, recycling, mining, and treatment facilities. They are mostly measured by TPD (tons per day). Based on the capacity of the plant and the grade of the ore it is processing, engineers and mining geologists can determine the economic viability of the mine. The investment made in a gold processing plants, silver processing plants, as well as plants for recovery of other precious metals and rare earth minerals is impacted by the cost and methods used to extract gold, silver, and other precious metals and minerals. It is also impacted by the market price and market projections of the material being mined. A 6500 TPD Gold & Silver Processing Plant will cost millions of dollars where small mineral pilot plants may cost hundred of thousands and a portable pilot plant may cost only thousands. Many full scale operations begin with a test plant before upgrading to a full production ore processing plant. What equipment is included in an Ore Processing Plant? Each plant is different but there are several common pieces of equipment you will almost always find through 5 stages of processing. The first is size reduction meant to break up the largest of material which includes crushers, industrial screens, and large hoppers and feeders. The second process is the gravity circuit which further breaks down the material for further processing and includes grinding mills, cyclones, and depending on the process gravity concentrators. The third is the leaching process that uses equipment with industrial grade agitators and mixers and contains a leaching solution and allows the valuable material to leach from the ore into solution. The fourth stage is the actual recovery of the material being processed which greatly depends on the material itself and the ore it is mixed with. For gold it could be a refining and smelting system, bullion furnace, or concentrating tables. The fifth stage is the tailings treatment. Tailings are the byproducts left over from mining and extracting resources, such as extracting bitumen from the oilsands or minerals such as copper or gold from ores. Tailings include: Finely ground rock particles – ranging from sand-sized to silt-sized. Chemicals used to extract the valuable mineral or oil. The treatment is meant to process the tailings remove the sediments and chemicals and then often reuse the water for going back into the processing plant. Mixed in with the entire process are various types of industrial pumps, belt conveyors, electrical equipment including large generators, and heavy equipment. 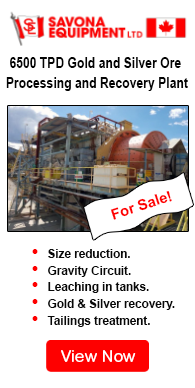 How can you purchase an Ore Processing Plant? There are many ways to purchase a plant. Large scale mines will often engineers and new plant. In some case publicly traded companies require new processing equipment for the main components of the plants. A second common option is to buy a used plant that has already been in service. This can often greatly reduce the cost while still getting a plant that is engineered as well as proven to operate efficiently. It also minimizes the lead times of waiting for new equipment to be manufactured. The third option is to buy each piece of mining and milling equipment individually and mix new and used equipment. This can lead to even a further reduction in your cost but can be a challenge to find each piece of equipment that will fit your specifications. 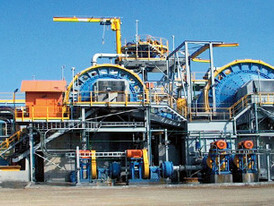 This article is a brief overview of an ore processing and recovery plant. The first step is to speak with a reputable professional in the industries including mine engineers, mining geologists, and equipment experts. Once you have the right team in place it will be much easier to find the right equipment and purchase the plant which produces the highest profits. 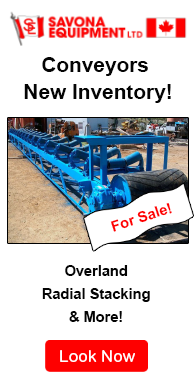 Still not sure which ore processing equipment to buy? Contact us with your requirement.